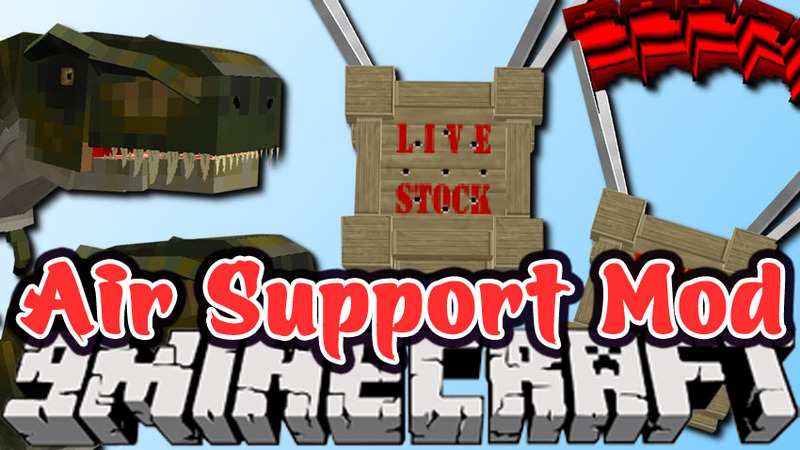 Air Support Mod 1.12.2/1.11.2 is a mod that players can use to call Air Drop Crates that float down on parachutes for adventure packs and alternative survival gameplay styles. There are 3 different Drops that can be called down using Remote Controls, Utility, Health and Live Stock. 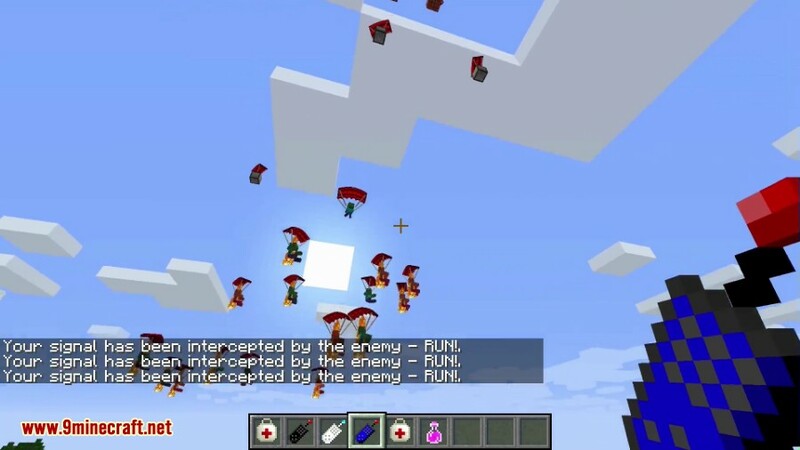 There are configuration options for custom drops, custom mob spawning and some special surprises. Circuit Boards are used as a crafting ingredient for all 3 of the different remotes. 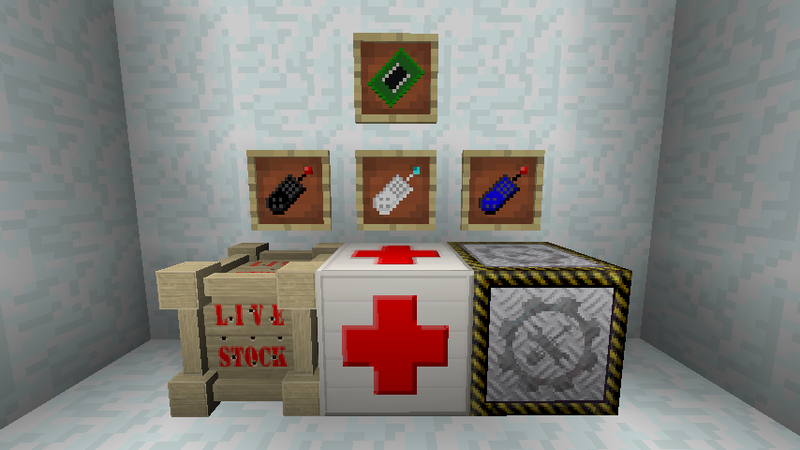 The Medical Crate Air Drop Request Remote is used to call healing resources crates. By default this crate will only drop Golden apples and Enchanted Golden Apples. 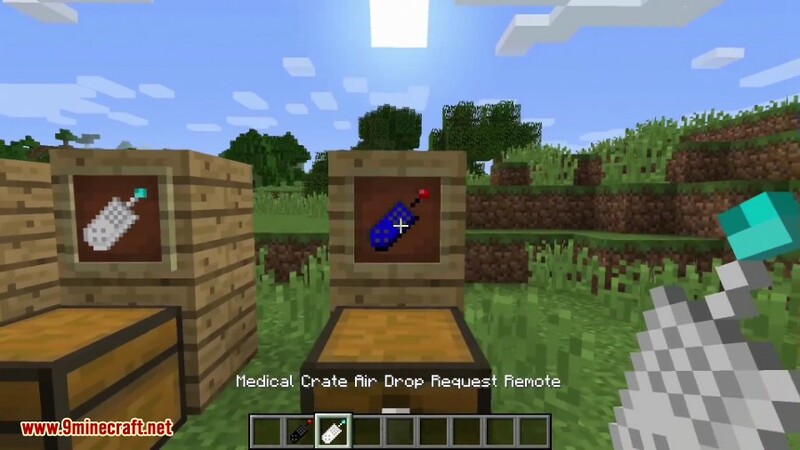 If the Mod “Rough Tweaks” is installed the drops will change to Med Kits and Enchanted Med kits from the mod and also vanilla healing potions. 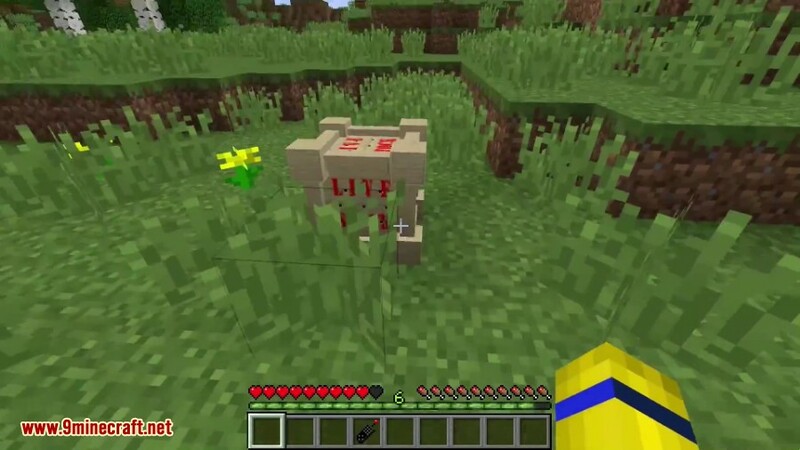 By default these crates will drop redstone dust, iron ingots and circuit boards from this mod.